Hatful of holler. The first score. First: a warning. One should not purchase tickets on the pawpaw express without knowing what she or he is getting into. When you opt to “ride the lightning”, you’re hopping on the front seat of an emotional and physical roller-coaster that won’t be slowing down until it’s thrown–nay, broken–all who boarded with anything less than total commitment. Be prepared to give it all up. Relationship? Over. Career? Gone. That itchy skin? It’s not going away. Don’t bother paying the rent–you’ll be sleeping in your car most nights, anyway. Friends, family, loved-ones? Kiss them all goodbye–they’ll not be seeing you any time soon. When, or if, you reconnect, the vacant look in your eyes will tell them you’re never really coming back. All that glitters. Nearly-ripe fruit sing their siren song, Squirrel Hill. Andrew Moore is one hard dude to get an interview with…at least, this time of year. You can’t fault him, though–the author’s late summer schedule is solidly packed. Readings and signings at bookstores in Charleston and Brooklyn; judging the Best Pawpaw Contest and presenting at the Ohio Pawpaw Festival; fruit sampling with customers at the Erie Whole Foods; a talk at the nature club in Sewickley…and that’s just a couple weeks worth. 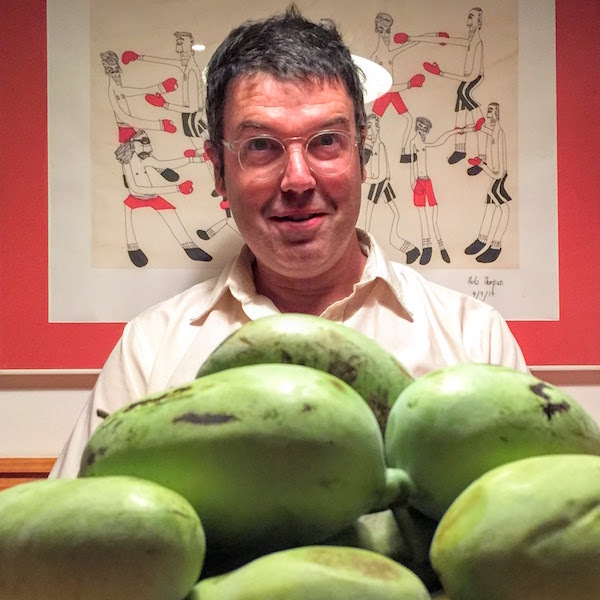 The Orbit consumed Moore’s 2015 book Pawpaw: In Search of America’s Forgotten Fruit (Chelsea Green Publishing) with a gastro-bibliological gusto that invoked what we can only call Pawpaw Fever. It is the definitive work on the subject and as such, Moore has created an elegantly-constructed and fascinating journey through a (literal) landscape both seemingly prosaic (pawpaws grow wild over most of the eastern half of the U.S.–they’re not rare) and at the same time otherworldly (an ancient fruit, re-arriving out of nowhere, with a narrative gift-wrapped for locavores and foodies alike). Pawpaw contains a couple broad theses that ring long and loud after the last page is turned: the pawpaw as neglected super food that rightfully deserves to be back in markets, lunch bags, and restaurant menus, and the mystery of how this once-ubiquitous early autumn staple that colors so much American history managed to disappear almost entirely from the nation’s collective consciousness. It’s a great read and, needless to say, the book is Orbit-recommended. 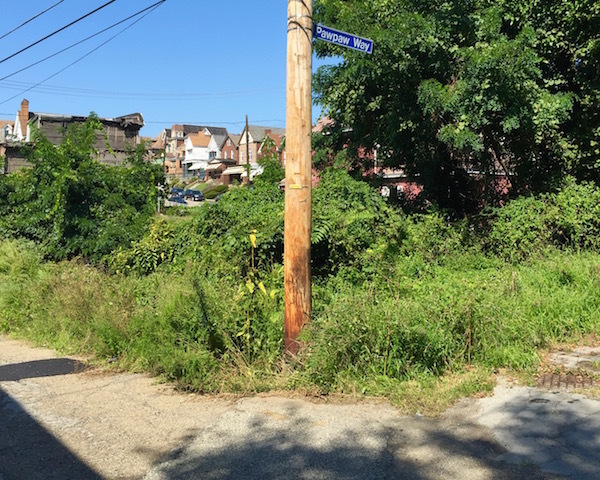 When last we left our blogger, he was deep in the heart of the Schenley Park pawpaw patch, considering an uncertain fruiture (that’s a future in fruit). 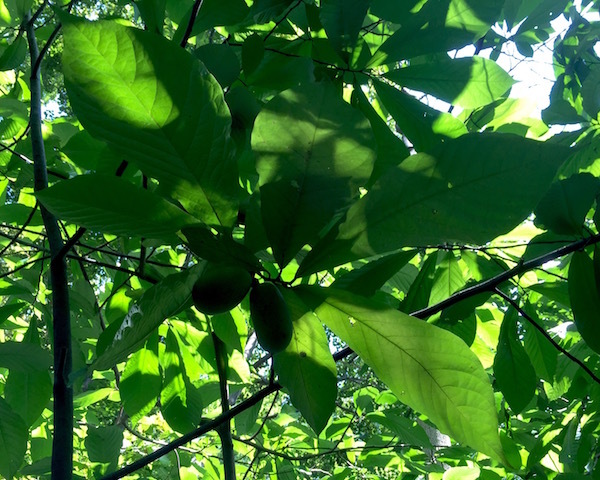 The pawpaws dangled tantalizingly in all directions, but like Coleridge’s ancient mariner, there was nary an “Indiana banana”–not to mention pawpaw, paw paw, paw-paw, or papaw*–to eat. Why? 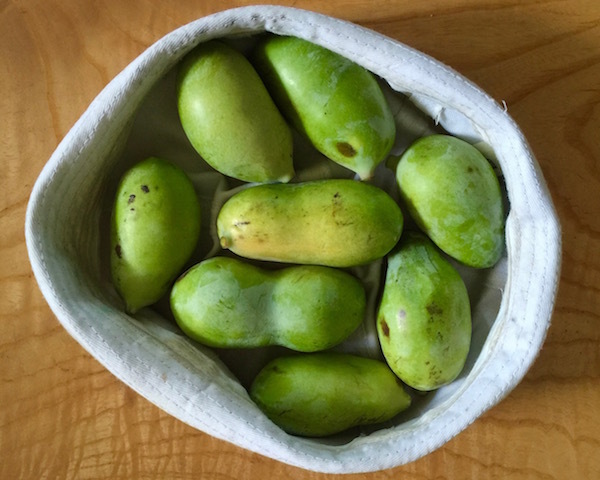 Well, one of the pawpaw’s challenges is that it may only be gathered (either shaken from the tree or collected from the forest floor) when ripe. Unlike, say, a tomato or a banana, the hard pawpaw prematurely selected from the tree will never ripen. That’s no big deal out in the wild, but in the very limited supply and unmet demand within metro Pittsburgh, it’s a real crime to prematurely pick the fruit or overzealously shake the tree. The hunt was on. 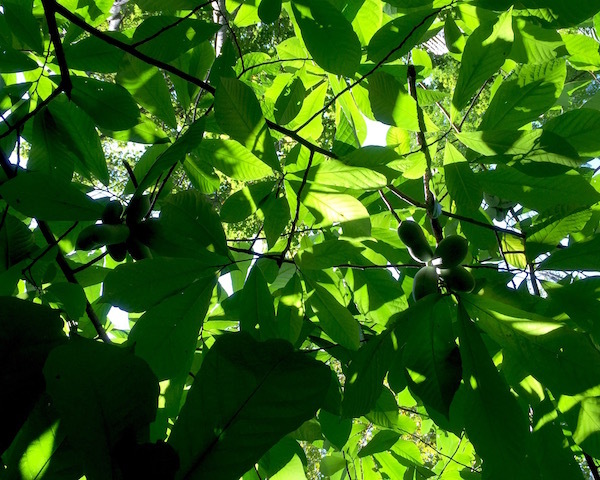 We got to the, uh, low-hanging fruit (sorry) first–Schenley Park’s pawpaw patch and the magical pawpaw trees of Squirrel Hill. Moore praises the latter: “God bless [the homeowner/planter] for introducing so many of us to our first pawpaw.” This blogger is no expert, but he’s been around the pawpaw patch enough to realize that while a great entry point, these are chump change, amateur hour, gateway drugs. 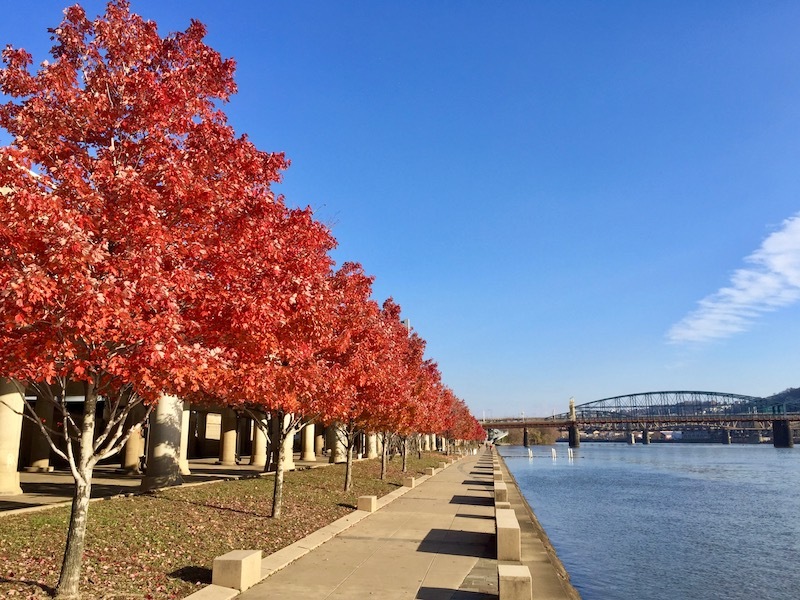 Both sets of trees are well-known and well-traveled destinations at this point, and as such they’ve been over-shaken, abused, ravaged, and the fruit is rarely given the chance to ripen sufficiently. So…blah blah blah, but what do they actually taste like? Well, I’ll tell you: they’re freakin’ delicious! The blanket description of “tropical” is safe, and banana is clearly the closest common fruit flavor profile. Some of the fruit we found was darker in color (more orange than yellow inside) and absolutely tasted and felt like caramel custard. One other detail we never saw mentioned is that the pawpaw is really fun to eat. 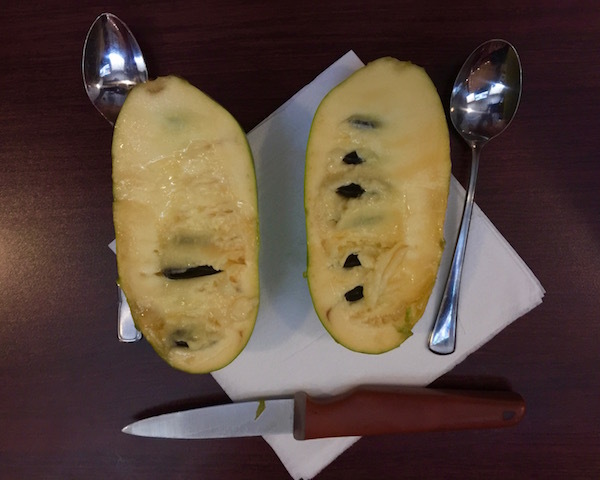 You slice it in half, eat it with a spoon, sorting tasty pulp from the large seeds in your mouth. They’re really unique–like a small dessert right there in every fruit. 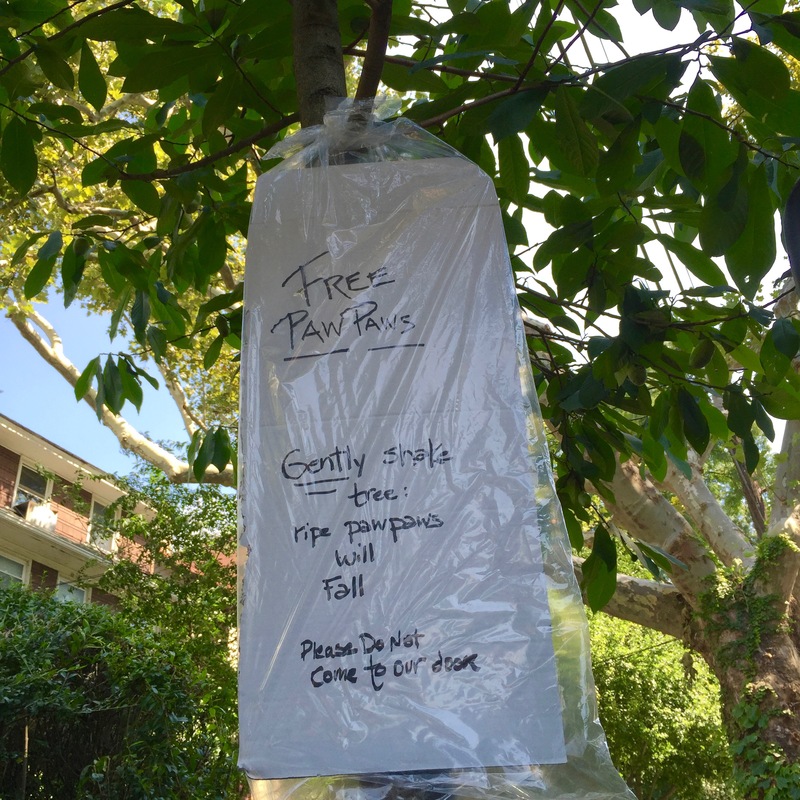 So, our early goal of uncovering free public pawpaws right in the city gets mixed marks. We did indeed taste the fruit of several different trees, but weren’t able to uncover any real surprises. The chase is still on, though. As Moore tells it, the trees give themselves up in October, flashing a bright yellow where others go all dropping leaves and fall colors. The dedicated hunter marks her prey and bides his time for the oncoming season. Until then, The Orbit will be out there, cruising the trails…watching. Future fruit. 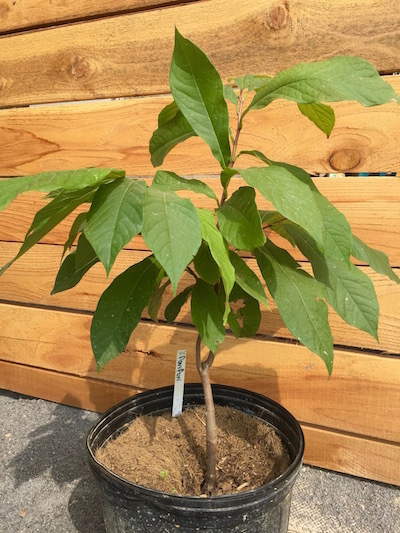 Potted pawpaw at Frick Environmental Center, likely destined for their “From Slavery to Freedom” garden project. The bad news: According to Moore, there just aren’t that many publicly-available patches in city limits to get your paws on pawpaws…right now. It’s not a case of us not looking close enough–they just aren’t there. 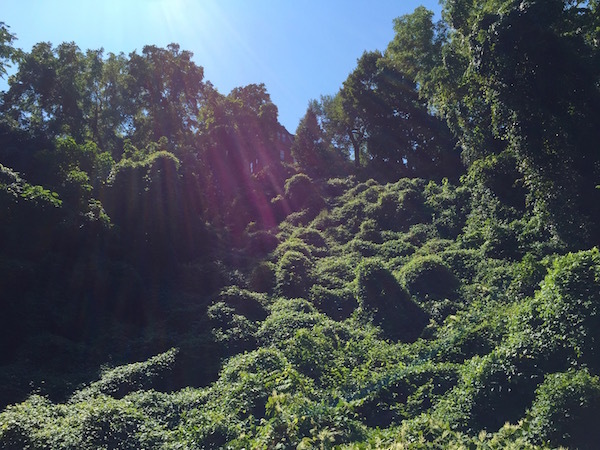 Between the amount of city build-up we’ve had, 150 years of heavy industry, and that damned knotweed, whatever wild pawpaw may have hugged the rivers pre-industrialization likely didn’t survive the steel industry, et al. What is here now was almost surely planted very consciously. 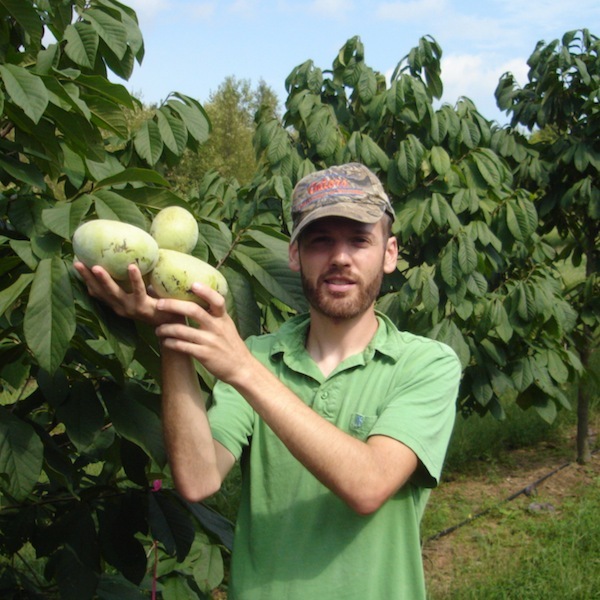 The good news: There is no lack of American pawpaw, even very close to Pittsburgh. As Moore says, “This is not an endangered species…you see it everywhere, especially starting right around the Mason-Dixon line** (and south)”. The Orbit finally got its first big score from a set of trees in the North Hills and realized very quickly how fast you can fill a big bag and why one probably shouldn’t eat eight pawpaws in twelve hours. Further, Moore paints a portrait of an exciting future for Pittsburgh pawpaw. The fruit is either “having its moment” or “coming back”, depending on how you look at it. [Moore’s book is clearly a not-insignificant factor in this.] 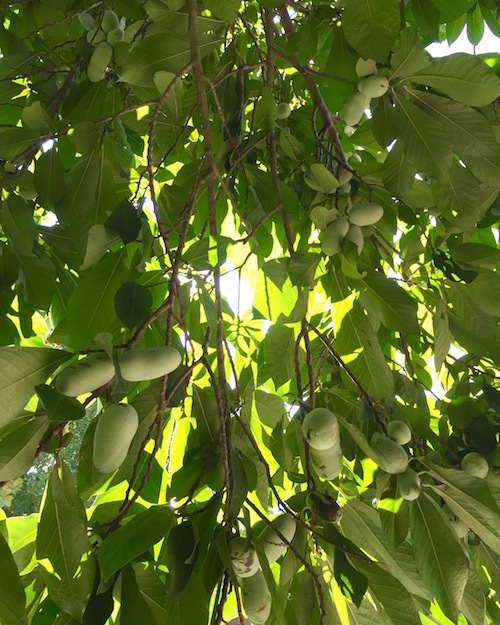 Pawpaw is on the cultural radar now like it hasn’t been for several generations and the number of city projects in parks, schools, and community gardens–not to mention all the private growers adding a couple trees to their yards–is huge. According to Moore, in five or ten years there will be more city pawpaw trees than you can shake a stick at…or, you know, just shake the fruit out of. Driven to madness. The author, with pawpaws. * Pittsburgh Orbit has accepted Moore’s spelling pawpaw (one word), but paw paw (two) seems to appear even more often “in the wild”. 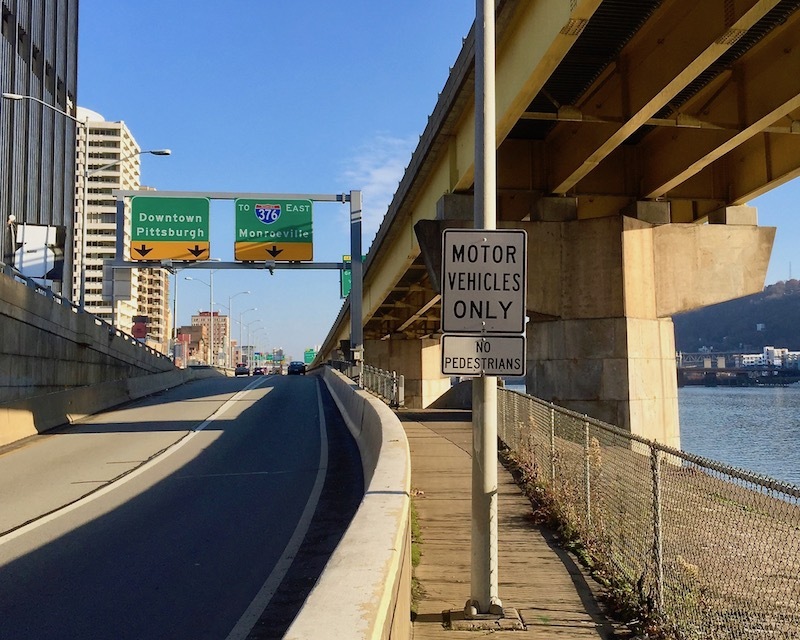 ** Basically, the Pennsylvania-Maryland/West Virginia border. They leapt right out, wheels in full motion, from a bicycle seat all the way across the river. 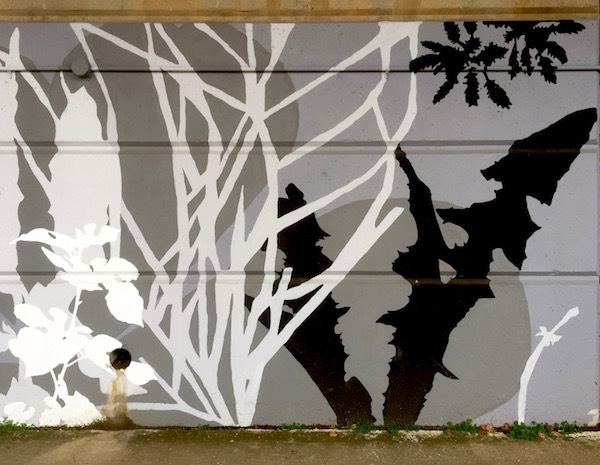 There, beneath the on-ramp to the Fort Duquesne Bridge, along the thick concrete barrier walls by Gateway Center, stretches a new(ish) blocks-long mural (or series of murals, whichever way you see it). 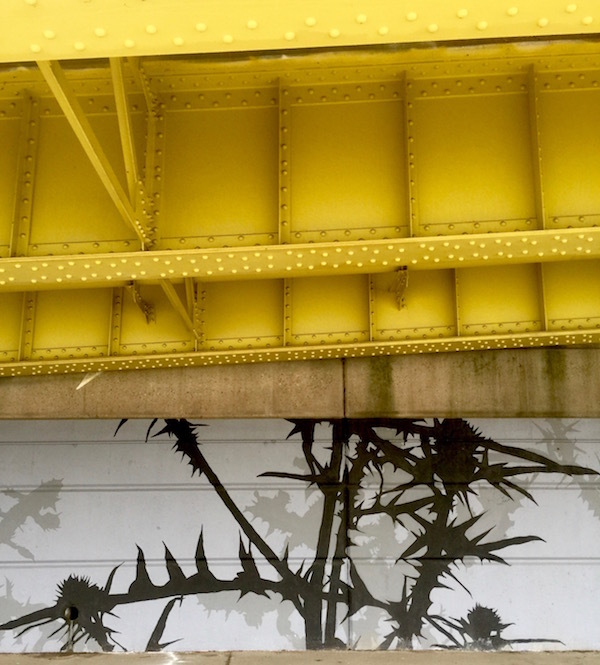 Even from a significant distance and shaded by the ramp structure above, the painting reads as a great collection of wild flora. It begged for further investigation so we legged it up over the bridge, around the park, and down to the river’s edge. 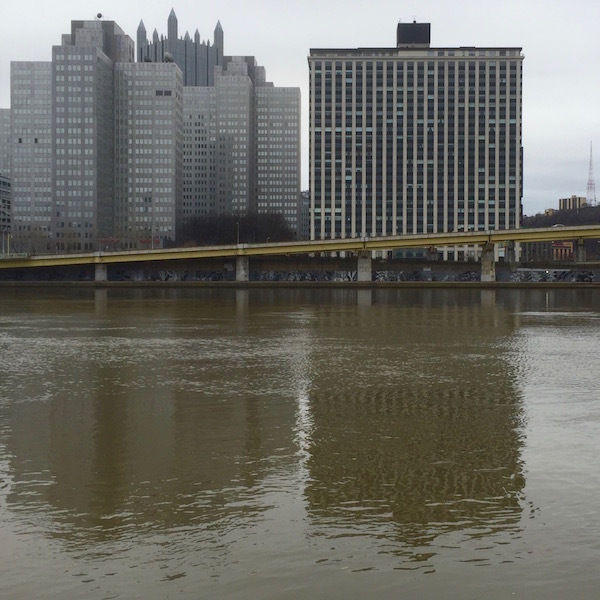 Pittsburgh Orbit has spilled its share of virtual ink looking backwards. We’ve devoted an entire series of “Orbit obits” to things that aren’t there any more and when you fetishize ghost houses and ghost signs and graffiti as much as we do, well, you’re not really thinking about your future. 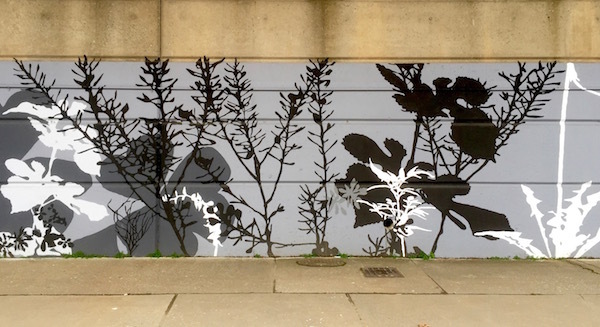 So we thought we’d start 2016 off right with a fresh-faced forward-looking story on something new to us and nearly brand new to Pittsburgh: this terrific blocks-long series of murals decorating the Allegheny side of the downtown riverwalk. The murals are actually half a year old at this point, making this blogger wonder where the hell was I? Though he’s bragging about eagle-eying the paintings on this ride, he had to have been down this stretch of riverbank dozens of times without ever seeing them, nor did we catch any coverage in the local news last summer. So let this post be another reminder to get out there and keep the peepers scanning! Though entirely uncredited at the site (as far as I could tell), The Orbit can Google with the best of them. The giant piece is the vision of artist Kim Beck and titled Adjutant (a fancy word pulled from a Henry David Thoreau quote). 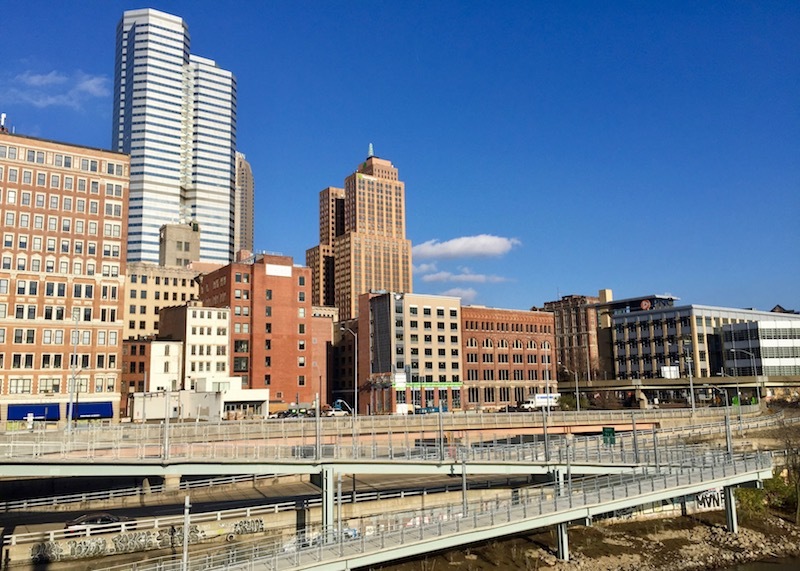 A team of some 150 volunteers organized by Riverlife Pittsburgh executed the work during the Three Rivers Arts Festival last June. 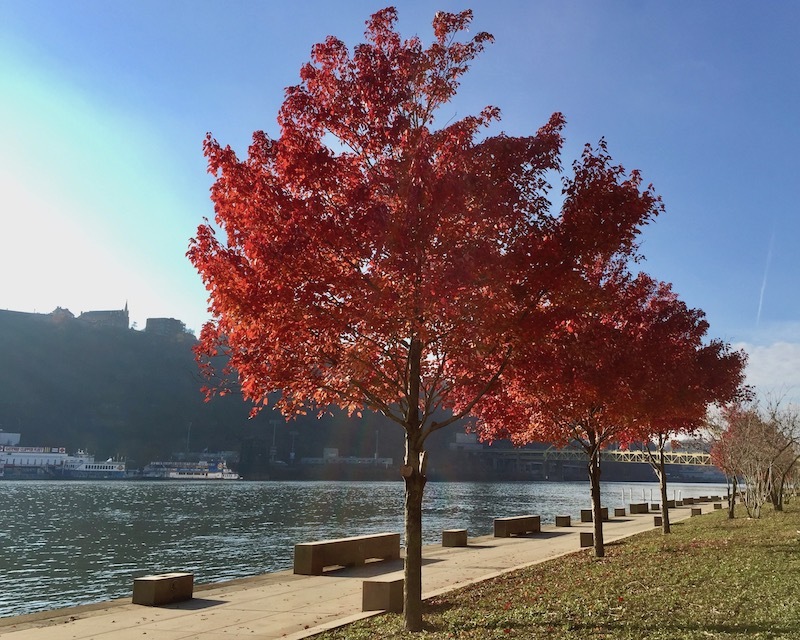 Two blog posts on the Riverlife site give all the pertinent background and details [see links below]. 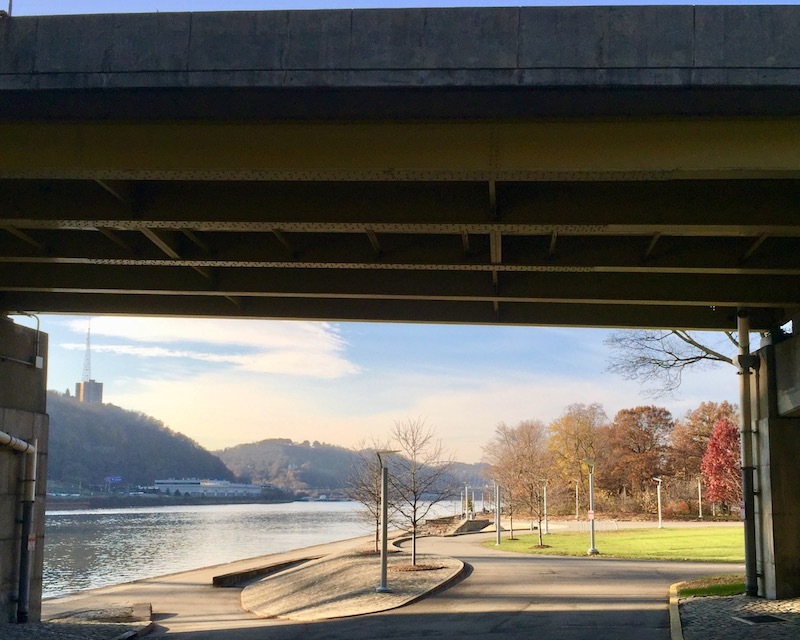 If you ever used this section of the riverwalk–the stretch that runs between the northeast corner of Point State Park and the slender Allegheny Riverfront Park that picks up around the Clemente (née Sixth Street) Bridge–you don’t likely remember it for its charms. The passageway was perfectly utile and never felt dangerous (at least in daylight), but walking or bicycling through always seemed like traveling where one wasn’t supposed to–fairly lawless and designed to dock giant barges, not facilitate pedestrian traffic. Corners under the bridge often contained the sleeping bags, tarps, and cardboard boxes of the population that lived down there. Discarded liquor bottles, beer cans, and snack wrappers pointed to late night boozers and early morning fishermen who hung out under its private, protected shelter. 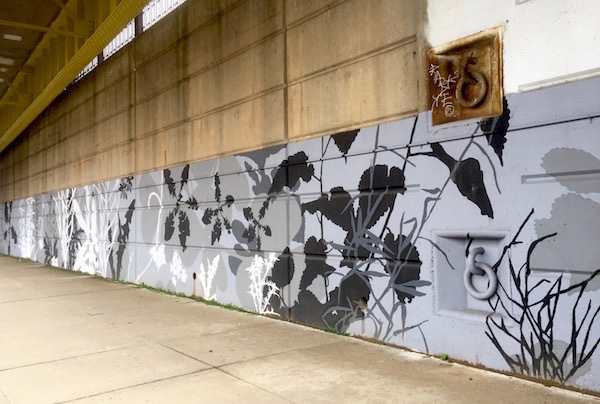 So the project to create the 850-foot (approximately three to four city blocks) mural is both a very welcome beautification of an extremely cold, hard, and dark urban space and also seems to be a wholesale cleanup effort to make the passageway a truly inviting link between the parks on either end. Not only was this stretch scrubbed for the mural’s creation during the arts festival, but it amazingly seems to have stayed that way some six months on. 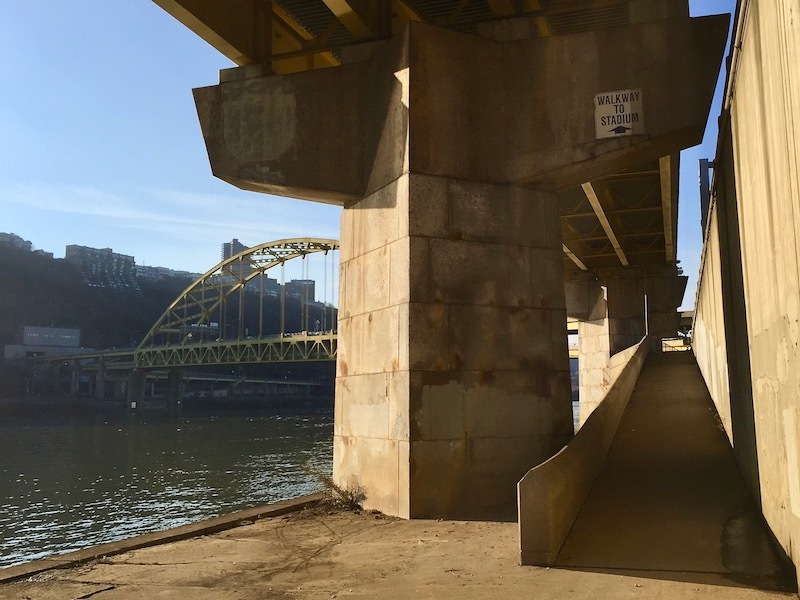 The pedestrian section of the walk is remarkably litter-free and either Pittsburgh’s taggers have decided to leave these walls alone or the city’s graffiti removal crew does spot-on repair work (I’d bank on the former). That’s all great, but “cleaning up” part of a city is always a loaded term–especially when it involves human beings. As nice and inviting as the new space is, we can’t help but think about those who were displaced (we assume?) in its transition. We’ve noticed homeless camps pushing farther out from town in a way that suggests you have to go that far to not get hassled by the man. 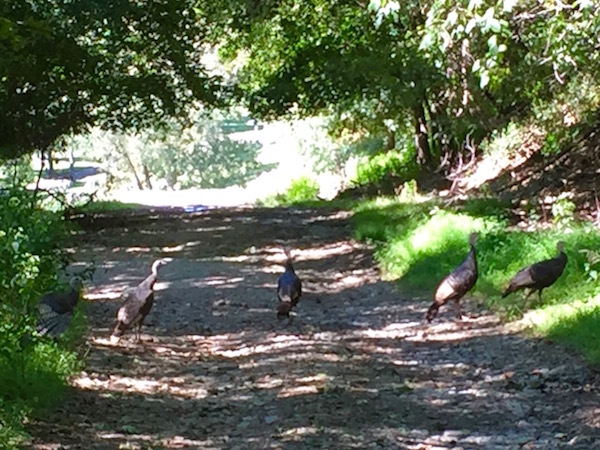 We inadvertently ran into one such group in the Christmas Under the Bridge piece a couple weeks back. 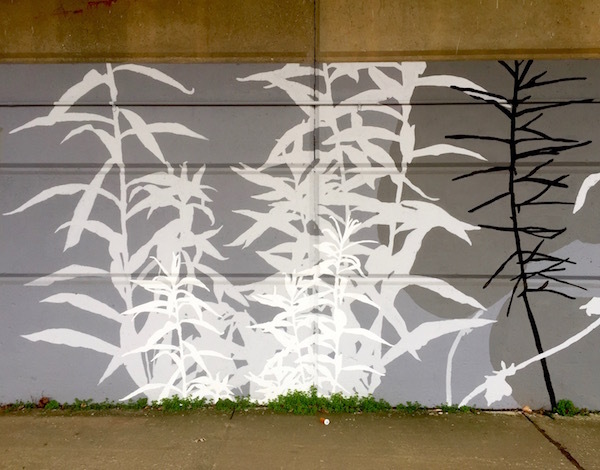 The murals are large-scale depictions of common weeds that appear along Pittsburgh’s riverbanks, rendered in the lean palette of black, white, and a couple shades of gray. 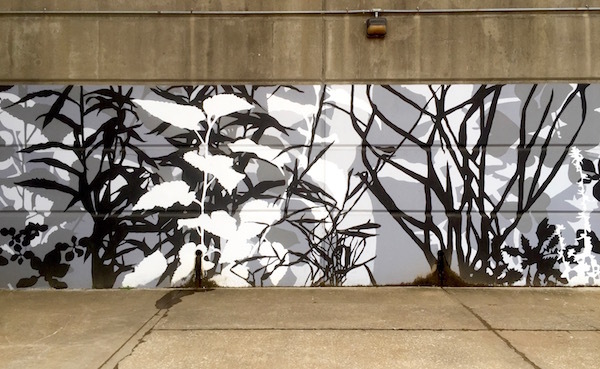 Artist Kim Beck informed us that the palette was dictated by the commissioning agency. They look great, but we can’t help but think the addition of some real color would warm the space up considerably and “pop” dramatically against the drab surroundings. That said, we’ll take what we can get, and this is a big improvement on the visual space. Pittsburgh Orbit’s Pennsylvania wildlife consultant and resident deep woodsman Tim Tomon came down from the trees long enough to identify dandelion, goldenrod, mulberry, pearly everlasting, thistle, wild peppergrass, and wood sorrel among the silhouetted weeds. Beck’s re-casting of weeds as giant expressions of beauty is certainly an exciting and inviting vision for this just-recently prettified stretch of town. The bright green of the real weeds that peek out from the cracks between foot surface and retaining wall are the only elements of color one sees (save for the bright yellow bridge deck above). Both serve as sweet reminders that a “weed” is purely a situational notion. These all look pretty good to me.